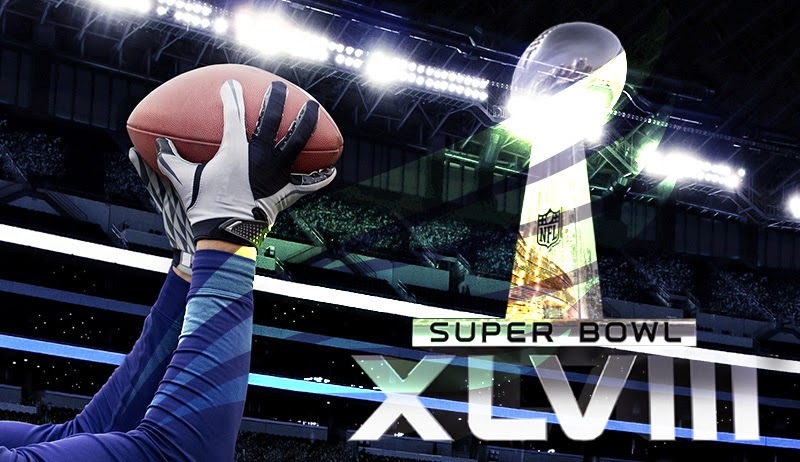 The big game will be held on February 2, 2014 at the MetLife Stadium East Rutherford, New Jersey. Commercial spots have already been sold out two months prior to the big game. Bruno Marz has reportedly confirmed that he will serenade the Stadium during the half time of the event. Teams are preparing, while stakeholders are putting all their might on reassuring the flow of the game. Fans anticipation for the big game is overwhelming. Despite all these factors and amazing features, the executives behind the big sporting event didn’t disregard factors such as safety and security. The event organizers of the upcoming Super Bowl on Feb 2 carefully considered the Boston Bombings during the marathon April this year. To reassure the fans and the players, security for this game will be much tighter than the past games. The no-fly zone will be wider, there will be more fences, and tailgating is not allowed during the Super Bowl 2014. To tighten up security, there will be a no-fly zone in a 10 mile radius around the MetLife Stadium. America has seen how devastating airplanes could be, especially when it is hijacked by the wrong people. This 10-mile no-fly zone security measure reassures everyone in the area that the 9/11 incident will not happen during the big game. Besides the no-fly zone measures, there will be two sets of fences that will be erected around vital parts of the Stadium. This security measure will keep the bad elements out of the Stadium. To keep the perimeters safe and secure, the parking area around the stadium will also be under tight security. There will be no lounge chairs and grilled sausages in these areas since tailgating is not allowed. According to the game committee president Al Kelly, these measures are done for a larger security perimeter for the Super Bowl 2014. According to Kelly, the parking lot of the Super Bowl 2014 will be so much fun, as long as you are in your car and in the boundaries of your parking spaces. A lot of people, especially the naysayer, are condemning this new rule. They feel like one big football tradition is taken away if tailgating is curtailed. Kelly said, people are only allowed to have food and drink in their cars, and they should stay in a single parking space boundary. Lounge chairs and grills aren’t allowed too. Kelly also warned the violators that they will be watching closely. There are a lot of fans who are not happy about this no-tailgating rule. Fans think that Super Bowl 48 will set a record for the most no fun league. To make security even tighter, the organizers have set up only three ways for fans to enter the stadium. The first way to get in is to ride the Fan Express, these are chartered buses that will cost fans $51 to pick them up from and drop them off at any part around the stadium. The second way to get to the stadium is to take the New Jersey Transit that will bring the fans to the stadium stop. Finally, fans must have parking passes on their vehicles in order to have that vehicle drop them off at the site. There are 13,000 parking spots available for everyone, and if ever celebrities want to be dropped off by their luxury cars, they must secure a parking pass. Kelly said, fans can’t be dropped off by a back car. Fans can have a car of any color as long as they have parking passes and that car must not leave the premises. For fans who want to park further from the stadium, they aren’t allowed to simply walk towards the stadium. Kelly said, you can get the NJ Transit or ride the Fan Express. He expects 70 to 80 percent of fans to ride the Fan Express of the Transit to get to the game. All these rules and prohibitions are due to a wider security measure around the stadium, Kelly said. With a temperature ranging from 20 to 38 degrees on February 2, 2014, East Rutherford is more likely to have snow during the Super Bowl 48. NFL’s senior vice president of events Frank Supovitz said, they will have high quality preparations and maintenance for the big game, should heavy snow occur. He said, during the game, if snow will fall, the field must be cleared. Each ten-yard line, sidelines, end lines and goal lines must be cleared of snow. Supovitz said, should the snow become very hazardous to both fans and players, the game will be moved an hour or a day later. The safety and security of the people in the Stadium is very important, however, the organizers must not forget the hundred million fans watching in the comfort of their homes, offices, or anywhere not in the stadium. This is why Super Bowl 2014 organizers are making sure that the blackout during the 2013 Super Bowl in New Orleans will not happen again in New Jersey. The 34-minute blackout during the 2013 big game was due to a device that connects power lines called the relay. To reassure that the blackout will not happen again the game committee sent in experts from all over the country to double check the equipment, technicalities and power source for the game. They will check out and test the power supply in the Meadowlands Sports Complex, where MetLife Stadium is, they will also check the local power provider, PSE&G, the New Jersey Sports and Exposition Authority and the host committee. Consultants coming from all over America will be checking and testing the game as a whole to make sure everything runs smoothly.